It is undeniable that the SEB bank president's advisor Gitanas Nausėda may run for president, thus conservative Žygimantas Pavilionis decided that it is time to "remove" competitors, political scientist Raimundas Lopata told LRT.lt when commenting on Ž. Pavilionis' letter to G. Nausėda's employer regarding Nausėda's status. Meanwhile political Bernaras Ivanovas finds the situation regarding G. Nausėda to truly be ambiguous. MP Ž. Pavilionis, who is himself identified as a potential Homeland Union – Lithuanian Christian Democrats (TS-LKD) candidate to the post of president began work this week with a letter addressed to the chief shareholder of SEB – Wallenberg Foundations AB president Peter Wallenberg Jr and the foundation's head of foreign relations Magnus Scholdtz regarding the status of the SEB bank president's advisor G. Nausėda. 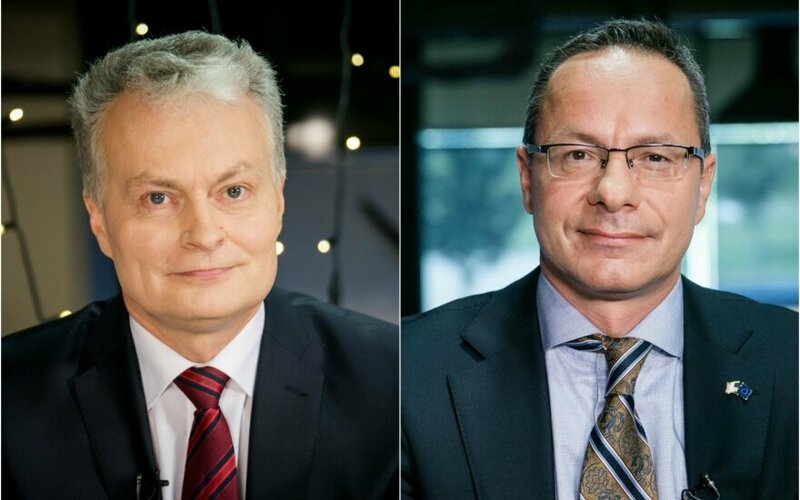 Ž. Pavilionis apparently was concerned by the "Ambiguous and dangerous situation when one of the most famous economists in the country is at the same time representing the SEB bank and is identified as one of the potential candidates of the presidential race." However many were surprised not by this politician's statement regarding G. Nausėda, but also the Seimas Speaker Viktoras Pranckietis' comment where the politician hinted at threats to national security. 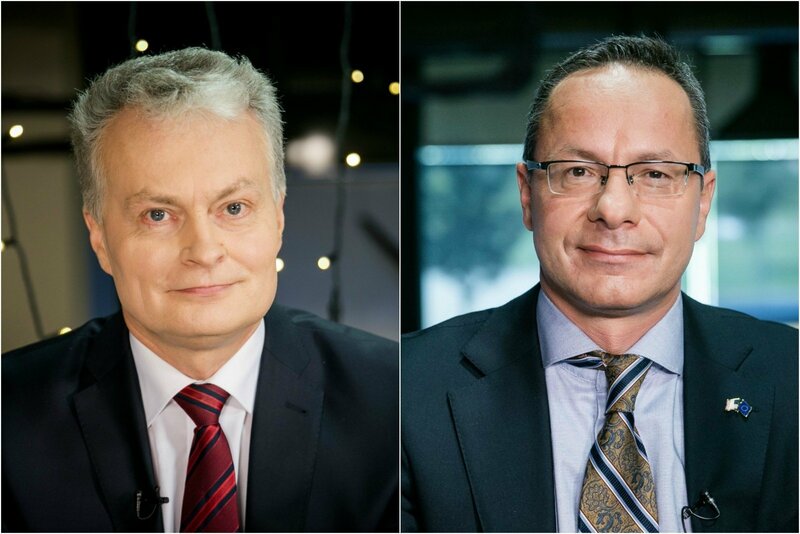 When answering the question whether economist G. Nausėda's status where he is both advisor to the SEB president and is also identified as a potential candidate for the post of president does not cause a threat to national security, he answered "there is certainly food for thought." G. Nausėda himself told Delfi "perhaps certain people are overly tense and really want something, but if that is the case and they really do, they should focus all their attention on the message they want to send the public, not onto other people." The economist pointed out that in performing various public opinion surveys, an open question is left, asking whom the respondent would see in the post of president, the citizen then responds as they desire. "And my name appeared in those lists. I had absolutely no influence on this," he stressed. Vytautas Magnus University (VDU) political scientist B. Ivanovas calls the situation surround G. Nausėda ambiguous, stating, "In a certain regard Ž. Pavilionis is correct because G. Nausėda represents a bank and he is not some sort of independent economist as journalists sometimes present him. I believe it would be worth noting that this is a representative of the SEB bank. On the other hand any citizen of the Lithuanian Republic has the right, regardless of their occupation, to run for the officer when they reach a certain age." The political scientist has no doubt that with the presidential elections nearing various speculations about candidates will only increase in number. "Politicians feel the subtlety of the situation, that perhaps certain financial groups have their candidates and the parties are as if to stand back. Here the public relations campaigns are working intensively, talks that the elections should be won by a non-partisan candidate and such. Various speculations will only increase in number, as for G. Nausėda, willingly or not he has ended up in the centre of all this, so now he must withstand it," B. Ivanovas commented to LRT.lt. The political scientist is convinced that G. Nausėda will experience no negative impact from Ž. Pavilionis' statements. "In terms of public relations in Lithuania, it is important to talk overall. We remember well the mass of episodes with both Arūnas Valinskas or Viktor Uspaskich. No discrediting articles or reports have any significance on a candidate's fortune of failure. Failure was often due to the candidate simply becoming boring for the voters and they would be forgotten. G. Nausėda is so far not boring and voters are interested," B. Ivanovas explained. Meanwhile political scientist R. Lopata is convinced that Ž. Pavilionis made a mistake and could have acted differently: "Officially the presidential campaign has yet to begin and G. Nausėda's response explained everything clearly. He asked if he is to blame for being included in the list of potential candidates. I believe it is a premature question. Playing it politically, such a letter should have been sent, publishing it after receiving the answer. As for the public response, it is difficult to say anything right now – we should wait for surveys and see." Political analyst Indrė Makaraitytė says that a negative practice has formed in Lithuania where participation in the presidential race is declared as late as possible. "That isn't a really fair competition because people do not know how to view the increased frequency of certain politicians or potential candidates' visits to the regions – is it due to the nearing elections or is it that the politicians have come to want to familiarise the public in various questions. Those trips especially become more frequent when elections are nearing and not when there is none in sight. It is important to also know whether Prime Minister Saulius Skvernelis will candidate in the presidential race because he is at the head of a vast administrative resource. The question is whether his visits across Lithuania are linked with the presidential race or not? I believe it is unfair toward the people to drag it on and leave them guessing whether the potential candidates will really run," I. Makaraitytė told LRT.lt. According to the analyst, most will likely not even notice Ž. Pavilionis' message regarding G. Nausėda and it will likely not harm G. Nausėda's popularity. At the commission of Delfi news portal, Spinter Tyrimai performed a survey on December 11-19, according to responses in it, if the elections were held this coming Sunday, most would vote for G. Nausėda. In second and third places respectively was Prime Minister Saulius Skvernelis and Kaunas city Mayor Visvaldas Matijošaitis, with respective support of 11.3% and 10.9%. The presidential elections in Lithuania will be held on May 2019.